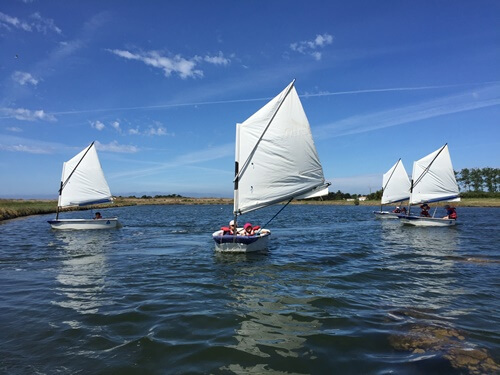 Available in summer for children ages 6 to 8, the traditional Optimist is the best way to introduce the little ones to the sea. Calm and secure (without waves), the Optimist’s Lake is a place where the children can enjoy the nature while being carefully watched by their instructor. Equipped with life jackets all along the session, your little ones will have a wonderful time on water. By using a fun yet gentle learning process, we make sure that they feel secure and not apprehensive.